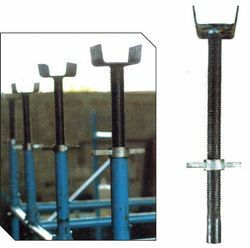 Durability and reliability are some of the features that have made our range of wedge scaffolding in the market. 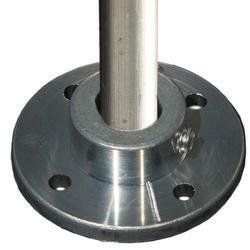 Customized as per the specifications of our clients, these are appreciated for high performance. 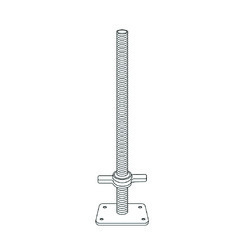 Code No:1063 The adjustable jack is used at the bottom of the scaffold to provide an additional adjustment of upto 600 mm. For additional information on load capacity, consult our design office. 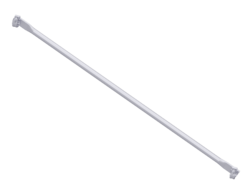 Code no:1064 the adjustable stirrup head is used at the top of the standard to provide an additional maximum adjustment of 600mm. For additional information on load capacity, consult our design office. Code No: 1073 base plate is designed to receive the standards and is useful in transfer & distribution of the load to the base of the scaffolding. It can be used in bracing in the width of the scaffold. The pivoting wedge lock fitting locate in the 'V' pressings on the standards. It can be used in the same plane as the transom. 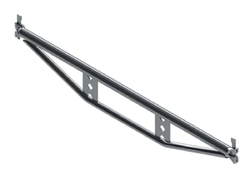 The Diagonal Brace is used for bracing the scaffolding diagonally with the pivoting wedge lock fitting by inserting in the V pressing on standard. Code No:1075 The bridging ledger is designed to be used on bay widths of upto 5 Mts. It has a central tube with 'V' pressings to which a transom & guardrail support can be fitted. It has a built in camber and has a tension rod to form a beam with wedge lock fittings at both ends. Looking for Wedge Lock Scaffolding ?